Amid an uptick in 911 calls and complaints from neighbors, a controversial tiny-house village in North Seattle will close next spring after the city decided not to renew its license at the end of September. An “experiment” in the city’s efforts to combat homelessness, Licton Springs Village is currently the only homeless housing option in the country that allows the use of drugs and alcohol on-site. The goal was to allow people to find homes without the need to halt their substance-use. This move coincided with a 62 percent increase in 911 calls for the area directly surrounding the tiny-house village between April 2017 and March 2018, and a 30 percent increase within two blocks of the camp during the same timeframe, according to reports in The Seattle Times. 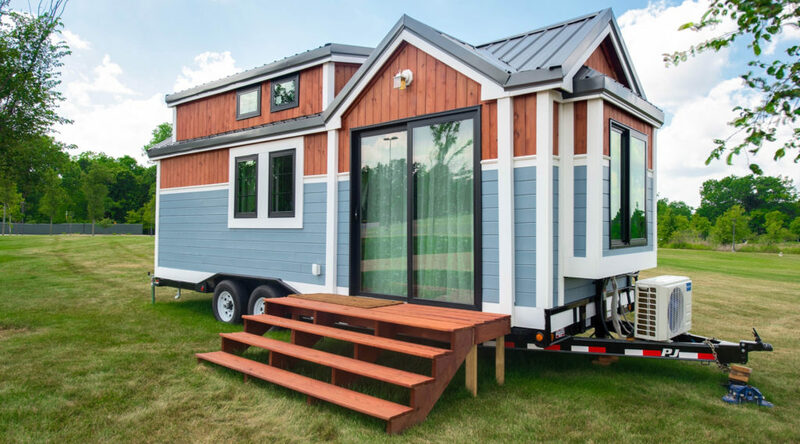 A more economic option than building new subsidized housing, the tiny house village ended up costing $28 per bed per night, less than half when compared to larger shelters in Seattle. Housing 65 people, the tiny-homes are connected to the electrical grid, but not to the plumbing system. The project was another effort to stop the spread of homelessness due to increasing home costs — a problem without easy solutions. Previously, Seattle faced criticism for its homelessness “head tax” and a west coast federal appeals court ruled that a law banning sleeping on public property was “cruel and unusual.” Amazon CEO Jeff Bezos, alongside his wife MacKenzie, announced he will donate a portion of $2 billion to already-active groups which fight homelessness in the form of awards last month. This week, the activist non-profit group SHARE/WHEEL announced it will stop managing the site. That means the city will need to take over day-to-day operation of the camp alongside two other nonprofits. SHARE is an acronym for Seattle Housing and Resource Effort, and its partner organization, WHEEL, is the Women’s Housing, Equality and Enhancement League. The non-profit made up of the previously homeless and homeless advocates, told reporters that they focused mainly on keeping resident safe, rather than stopping drug use, but did offer treatment programs and a methadone clinic if the residents requested help. A representative of SHARE/WHEEL told The Seattle Times that its goal was to take on the long term effort of getting those affected by homelessness to trust other people again. The group had previously raised concerns to Seattle’s management of the camp, citing an example of a lack of assigned caseworker over the course of three months. Part of the tensions stemmed from the relocation of residents from all over Seattle, displaced after the city closed unsanctioned camps around the city. Originally, the supportive members of the Licton Spring community only wanted to have people local to the area housed in the village. The city will work to find permanent homes for the residents who remain in the village before it closes.